AmigaOS 3.1.4 för Amiga 4000 Tower tas endast hem mot beställning. Lägg gärna en produktbevakning eller skicka en intresseanmälan via mail! AmigaOS 3.1.4: The official update you’ve been waiting for. modernizes many system components previously upgraded in OS 3.9.
favourite classic AmigaOS -- from bootmenu to datatypes. • Native support for all Motorola 68000-68060 CPUs, and a more robust Auto-Configuration process. even on legacy devices. You can also use variably-sized "super floppies". large media. Printer, hard disk and many other support tools have been fixed and upgraded. 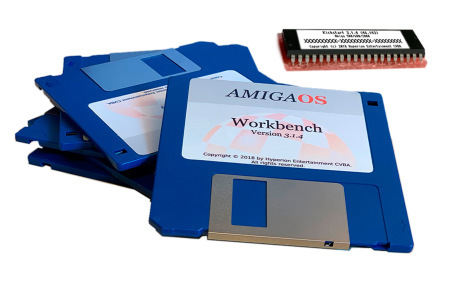 Workbench programs from the Shell or upgrading ROM modules. Rockridge and Joliet extensions as well as UDF. along with legacy NEC and Epson printers. • A colorful, professionally designed icon set is included, along with the traditional four-color icons.